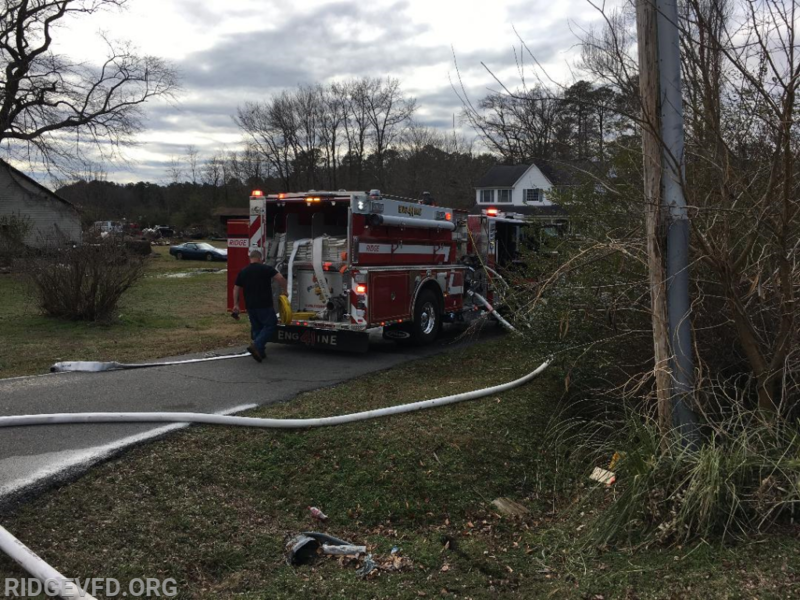 4-06 Box, 12:17 - Ridge units were dispatched to 13311 Point Lookout Road in Ridge for the reported house fire. Engine 41 arrived at 12:22 and reported a single family residence with nothing evident from all four sides of the structure. Personnel exited the Engine and noticed smoke coming from a bathroom vent. Crews from E-41 and Tanker 44 extended a handline to an interior bathroom and extinguished a small fire. The fire was contained to the bathroom. Crews from E-141 and Squad 4 assisted with salvage, ventilation and overhaul. The cause of the fire is under investigation. Units cleared at 13:11.